There are a couple of Medicare developments worth sharing before we get to this week’s reader questions. First, the Centers for Medicare & Medicaid Services (CMS) has released an updated version of its online Nursing Home Compare tool, which provides star ratings on a variety of indicators. The news here, as reported by Kaiser Health News, is that the ratings now reflect staffing levels based on objective payroll records and not on the homes’ self-assessment of staffing adequacy. It turns out that many nursing homes fare worse under the new rules than the old honor system. It has become harder for many homes to find and keep qualified caregivers. It has become harder for many homes to find and keep qualified caregivers. Thanks to the booming job market and a lid on immigration, this problem is not going away. If you or a family member may need care in a nursing home, please pay careful attention to these revised ratings. Second, CMS is proposing for 2019 to standardize payments to doctors. This would include site-neutral payments so that patients would face the same costs at any out-patient location. It also wants to introduce a flat-fee payment system that would compensate doctors for comparable services the same whether they were general practitioners or specialists. Not surprisingly, these plans will not sit well with health-care sites and doctors that face lower payments, so there will be pressure on the agency to alter the proposals. Stay tuned for updates! Here are our reader questions. Susan – Mich.: My husband will turn 65 this fall and is retired. He recently received his Medicare sign-up notification. I am 62 and will be retiring this fall. We are currently paying for health insurance thru his previous employer at a rate of $500 per month each. Should we cancel the existing coverage for him and go solely with Medicare? If so, does he need Medicare parts A, B, and D? I have gone over the literature provided by the government, and it’s clear as mud! 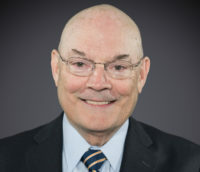 Phil Moeller: Most retiree plans require participants to get Medicare at age 65, at which time it becomes their primary health insurer and the retiree plan becomes the secondary or supplement insurer. Some retiree plans also continue to cover drugs after the retiree turns 65. So, your first step is to find out from his plan exactly what it will cover when he turns 65. Armed with that information, you can then tackle the alphabet soup of Medicare options. If his plan does provide supplemental coverage and includes drugs, getting Part A and B may be all that you need. If not, you might need to explore broader options. These are explained in our book. Simply put, the two primary Medicare pathways are: 1) original Medicare (A and B), Part D and perhaps a Medigap supplement plan; and, 2) Medicare Advantage, which usually includes drugs and supplemental coverage. Both approaches have their pluses and minuses. After solving this puzzle for your husband, you also need to decide if you need to get an Affordable Care Act policy for yourself, because you are too young to qualify for Medicare. Mary Carol – Texas: I now get an expensive drug that is injected at my doctor’s office. It is covered under Part B of Medicare, and my Medigap supplement plan pays what Part B does not completely pay. Is it possible that this medication will fall under Part D in 2019, and how will I know whether I will be able to afford it? Phil Moeller: The fact that you get these injections at your doctor’s office is what permits the drug to be covered under Part B. Your private insurance plans – Part D and Medigap – do not set those rules. Medicare does. So, if Part B covers this drug, your Medigap plan is obligated to help pay for it. Assuming Medicare does not change its Part B coverage rules, your exposure to these costs will be similar to what it is now. However, in the slim chance that the coverage for this drug does change, you will be able to find out details about 2019 Medicare Part D drug plans beginning on Oct. 1. The plans must provide you details about 2019 prices and coverage details. Medicare’s online Plan Finder also should have this information. You then could decide whether to change your coverage for 2019 during Medicare’s annual open enrollment period, which runs from Oct. 15 through Dec. 7. Marian – Okla.: My husband turned 65 in August last year. He did not sign up for Medicare because he was working and covered under his employer’s plan. He retired in March; his employer insurance ended on March 31 and his Medicare started on April 1. He was being treated for brain cancer at the time this was all taking place. Now, his employer’s insurance company is not paying some of the claims, claiming that he was eligible for Medicare at the time. His former employer is self-insured and has an insurance company administer the plan. Do they have the right to do this – effectively penalizing employees who turn 65 and don’t sign up for Medicare? Phil Moeller: I’m so sorry to hear about your husband’s cancer and wish both of you the best. Generally, employer group insurance plans at workplaces with 20 or more employees must continue to offer health coverage to active employees and covered spouses once they turn 65. Such employees do not have to enroll in Medicare. 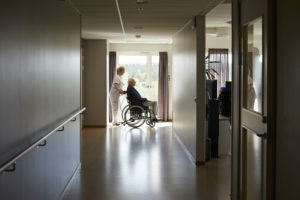 The rules for smaller employers are that they may require active employees to get Medicare when they turn 65, at which time the Medicare becomes their primary health insurance and the employer plan providers secondary or supplemental coverage. I don’t know the details of your husband’s employer plan but have not heard that being self-insured in any way allows an employer plan to avoid Medicare coverage requirements. So, if your husband’s plan has more than 20 employees, I don’t understand the basis on which it claims he should have had Medicare prior to his retirement. Beatrice – N.Y.: My ex-husband is 56 and I’m 67. We were married more than 13 years and have been divorced 15 years. Frank is remarried. I am not. I raised the three children and the twin boys, who are autistic, still live with me. Is there any way for me to collect my ex-husband’s Social Security benefit and suspend my own benefit? He hasn’t reached retirement age, so am I still able to collect on his Social Security benefit? Phil Moeller: Unfortunately, you can’t. He needs to be at least 62 for you to file on his record. By then, you will be well past 70. At that time, you could file for the benefit and see if it would boost your total benefits. To do so, your former husband would have had to earn much more than you and thus qualify for higher benefits. However, your sons may qualify for a Social Security benefit based on your record. If they became disabled prior to age 22, they may qualify for this benefit for the rest of their lives. You should ask Social Security for details on this benefit. If she has low income and Medicaid is helping to pay for her Medicare, she should find out whether her husband’s income would affect her continued eligibility for Medicaid under state rules. She can get in touch with the State Health Insurance Assistance Program (SHIP) and ask for a representative from Indiana. SHIP provides free Medicare counseling. Alice: A friend’s husband started collecting his Social Security in January when he turned 66. My friend would like to pay back what he collected and wait until he would have turned 70 to collect his Social Security benefits. Would that be possible? Phil Moeller: Yes. Because his benefits began within the last 12 months, he can withdraw his application and complete this form. He must repay not only all Social Security benefits he has received but also any Medicare premiums deducted from them.